There is new research that says couples that only have a joint bank account are happier than couples that keep some, or all of their money separate. Watch Me LIVE on HSN on Monday! Mark your calendar because on Monday, January 7th I’ll be LIVE on HSN talking about my All NEW One-Time Offer! Plus, 4 extra exclusives just for HSN buyers. How Much Do You Know About Money? 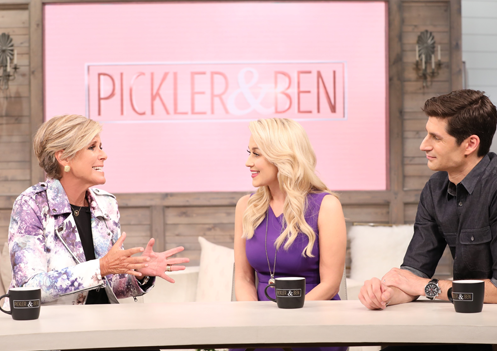 Tune in to Pickler & Ben to Find Out! 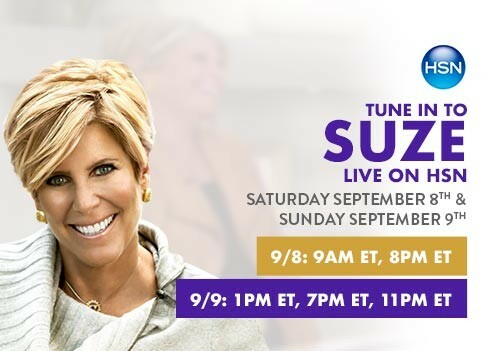 Suze's Back on the Q! 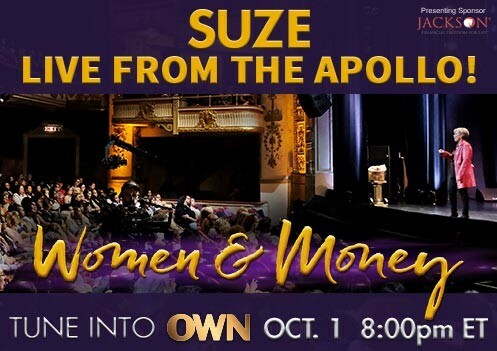 Don't miss Suze this weekend on the Q! 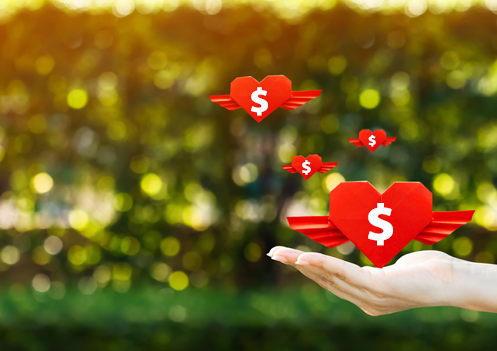 One of the most harmful blind spots women have is a tendency to be too generous. 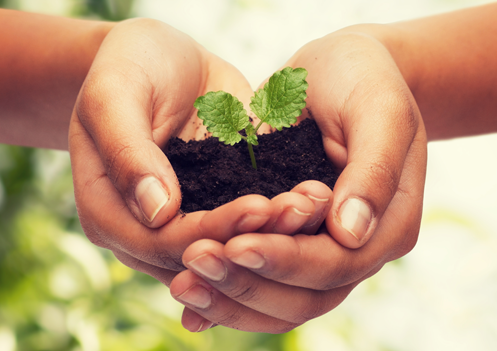 We are so focused on giving that we often lose sight of when all our giving is depleting us. 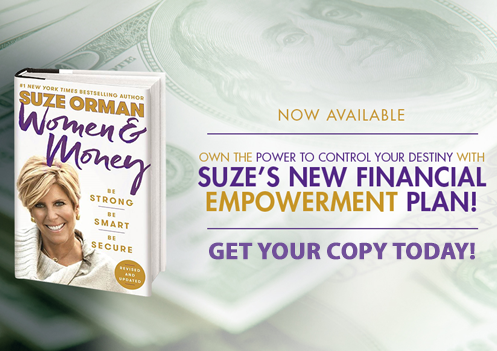 Women & Money: Are You Truly Financially Empowered? 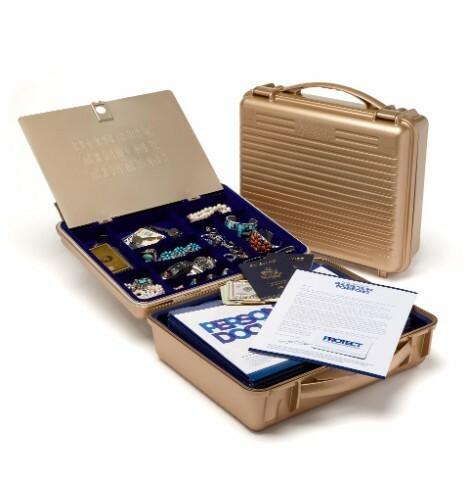 Mark your calendar because this weekend I’ll be LIVE on HSN talking about my Ultimate Protection Portfolio: Gold Edition. 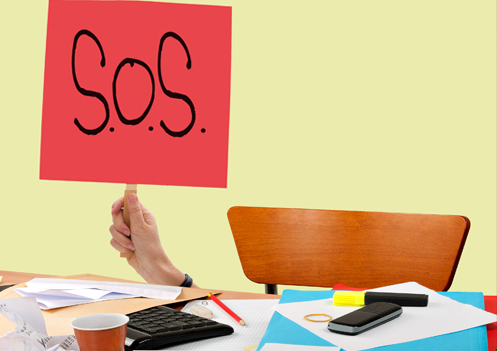 Is Your Advisor Really Looking Out for You? As a new academic year begins, I want to make sure that parents understand the important lessons that will not be taught in school. 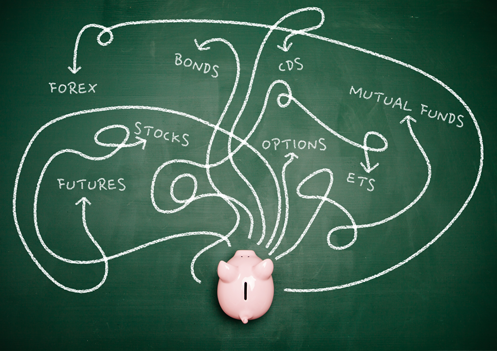 You know I am all for investing money you won’t need for decades in low-cost stock index mutual funds or exchange-traded funds. 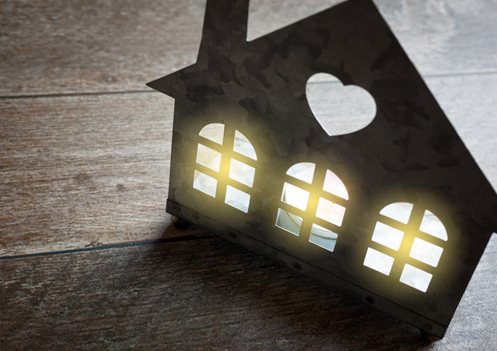 Could the One-Roof Solution Help Your Family’s Finances? 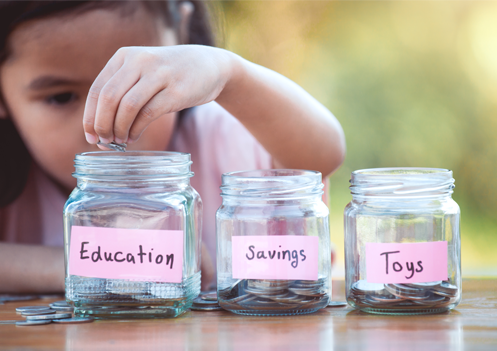 Financial stress is a multigenerational issue. Young adults look at high home prices in many parts of the country and wonder when –or if– they will ever be able to afford to buy. 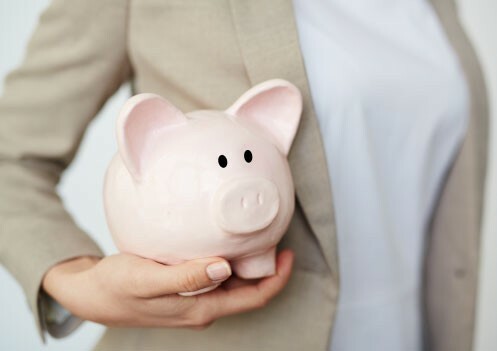 It’s time all women find their financial voice. Listen Now! Are You Falling into this Workplace Trap? 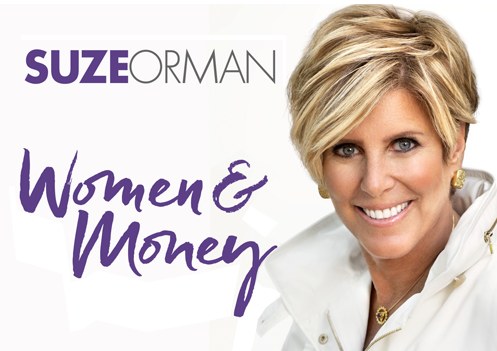 An updated version of my book Women & Money will be published next month. Why return to the topic? A recent survey of more than 250 widows with a net worth of at least $1 million highlights how so many women set themselves up for later-life anxiety and frustration. What Every Woman Needs to Get Schooled On. 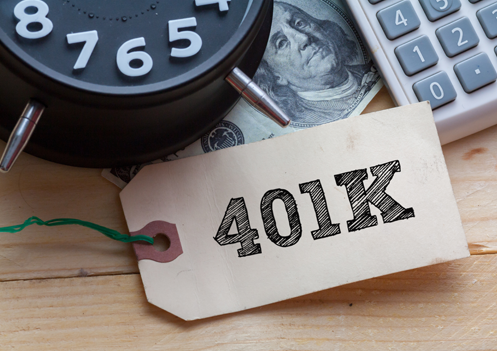 When the American College of Financial Services recently quizzed retirement-aged people on the basics of how to make their money last, just 35 percent of men passed the test. As troubling as that is, only 18 percent of women passed. A Divorce Settlement Mistake I Want All Women to Home in On. Divorce at any age can be difficult. 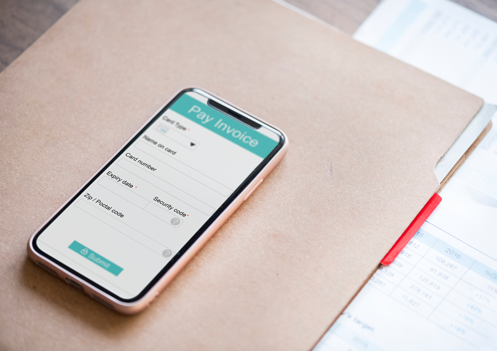 Even in the most amicable of situations there are major financial decisions to work through, and staying clear-eyed amid the emotional upheaval can be challenging. 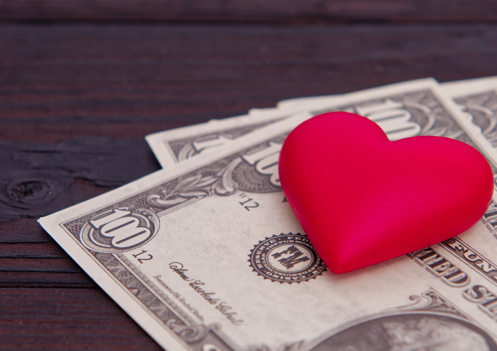 A recent Experian survey reports that more than one-third of people who divorced says it caused them financial ruin. 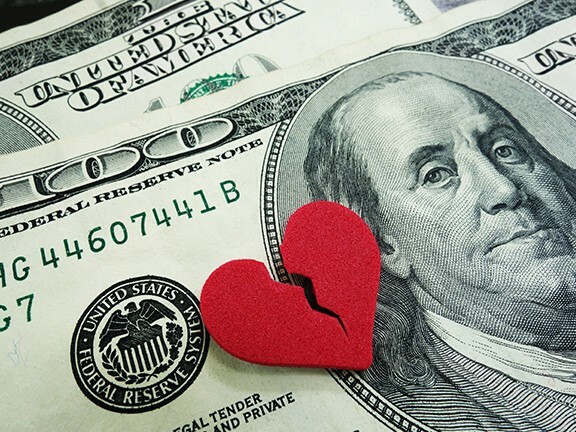 And more than 60 percent of people surveyed said that money issues played a central role in the break up. Ladies, the jig is up. You can moan all you want about how you’re not “good” at investing, or it’s too confusing. I’ve long told you those are just excuses you have talked yourself into, yet that have no logical basis. 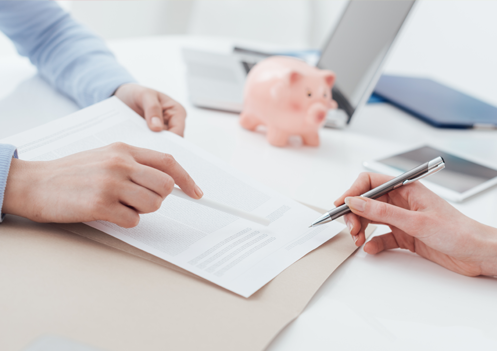 You may have heard or read recently about some high profile retirement plan sponsors being sued by plan participants for high fees in the plan. Financial service firms-yep, folks who run mutual funds-have been hit with lawsuits, as have the plans run by MIT, NYU and Yale. My dear Friends, If you receive an email that talks about me on CNN quoting something like “Brexit is Destroying the American Economy”, Please DELETE it. This is an internet scam from something they are calling Global Payday System. They are trying to steal your money. I Do NOT endorse this business. Please beware and report this as SPAM if you receive it. My House Rules for Boomerang Kids. Sitting down with your children once a month and having them help you pay the family bills is an incredibly valuable life-lesson opportunity that sadly few families use. You know I have long recommended that every household look into obtaining long-term care insurance (LTCi). 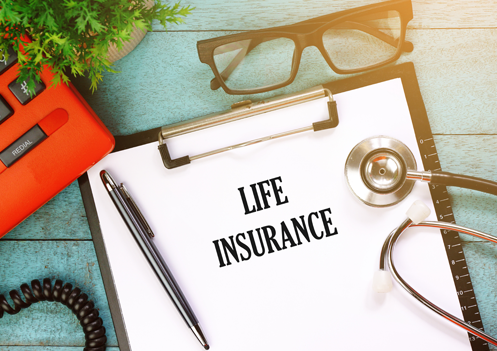 Given our increasingly long life spans and the fast rising cost of health care, an LTCi policy can be the linchpin of a secure retirement. And it is doubly important for women to consider. According to the Society of Actuaries, a woman alive at age 65 has a one-in-three chance of still being alive at age 90. And if that 65-year-old woman happens to be in very good health the odds of being alive at 90 rise to more than 40%. In other words, there’s a good chance you could live a very long life. 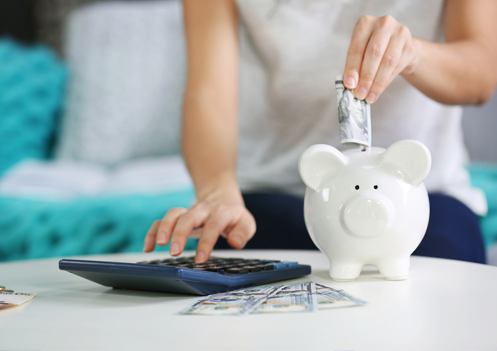 One of the most common things I hear from many couples is that the husband likes investing and planning, and thus wives are all too happy to let him handle the retirement strategizing. Big mistake. Not because I am doubting the skill and intentions of men. Rather, my concern is that it’s women who typically are the most at risk in terms of retirement security for a very simple fact: Women tend to outlive men. Last night KT and I were lucky enough to get to go to the courthouse in Del Ray Fla to participate in the first gay marriage ceremonies. Read my thoughts on this historic day.